Spreading approximately 155 square miles over the sub Carpathian Hills, the renowned Dealu Mare region is the most compact wine producing region in Romania. Dealu Mare (or Big Hill) has long been considered the original birthplace of red wines of exceptional quality, but can also produce white wines of great character. The region is characterised by the highest homogeneity of environmental features. The climate is continental, with average annual sunlight of 2200 hours, average annual temperature between 9,5-10,5°C and the average rain-fall of 500-600 mm. The lithologic substratum is made of gravel, sand and clay with a layer of loess. 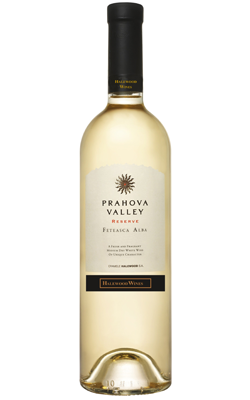 Fine and delicate flavour of exotic fruits with notes of elderflower. A fresh wine, medium dry, well balanced, refreshing pale yellow colour. It is recommended to be served as an aperitif or with fish, salads, light cheeses or seafood.